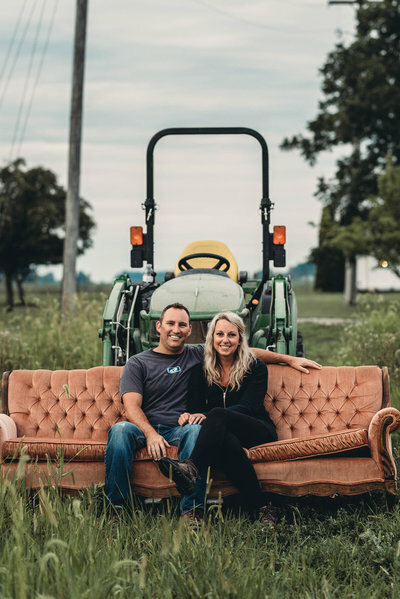 Joel is a full-time local Worship Pastor and Holli is a full-time Real Estate Broker. 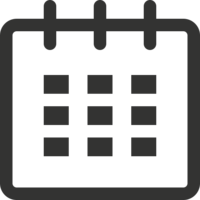 Holli also has over 10 years of experience in event planning. 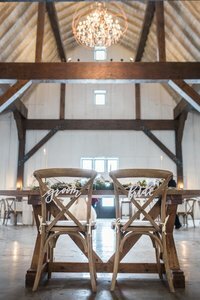 We have been married 6 years and it all started when we celebrated our marriage in a barn! Two of our greatest passions in life are love and bringing people together! People often ask us why we wanted to open a venue? Well we love bringing people together and forming lasting relationships and since our story started in a barn, we thought this was just perfect for us. We searched for 2 long years until we found this special barn and property! We worked hard to maintain the original character and structure of the barn! We hope you love it as much as we do! This is where our story now becomes a part of your story. Become a part of our family and see for yourself what our farm and event barn have to offer! When it comes to anything related to landscaping, Dale has a knack for it. Whether it’s mowing grass to look like a golf course, mulching, or planting you can be sure he’ll make it look amazing. When he’s not grooming the grounds you can probably find him playing racquetball, eating cookies, or taking care of his family. 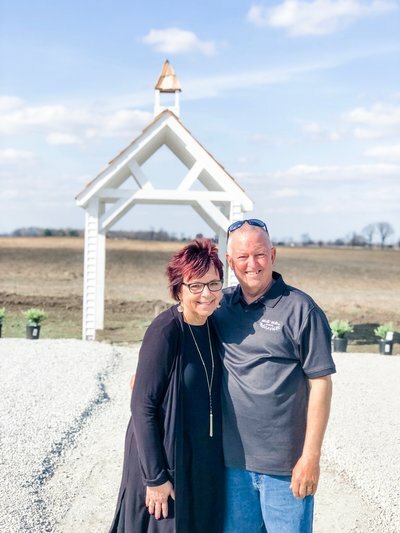 Cindy joined White Willow Farms bringing her organizational skills, passion for working closely with clients and love of creating a seamless process. She can be found spoiling her grandkids, serving others, and watching her shows. She is such a valuable team member that will make sure every detail of your day is perfectly planned! Dale & Cindy just celebrated 40 wonderful years of marriage! They are such great examples of what selfless love means and choose to spend there time serving and loving others! They relocated here from Richmond, IN to be with their family and help with the venue. We believe it's important to share with couples the story of why we opened a venue and the people behind it. We worked endlessly to create a space so unique and so special for our future couples. We don't have a team of investors with expectations or a quota for the number of weddings we have to book each year. We host weddings and celebrations because we love sharing our farm with couples who love it too. We are a family and staff that genuinely cares about you and the details of your big day. We believe firmly you aren't a "number" or a "package". We also understand we only get one shot on your wedding day and the trust you put in us to do our very best.